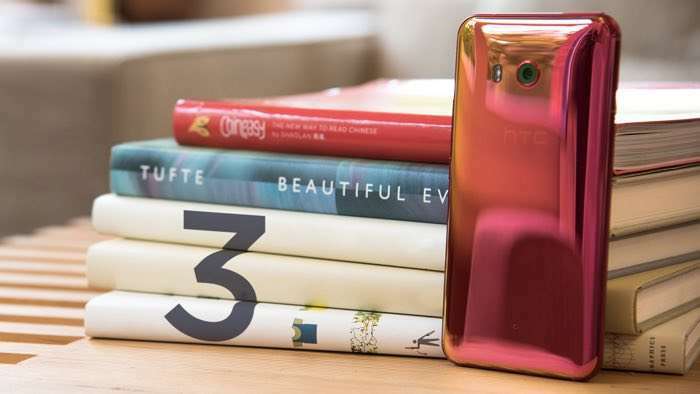 The solar red version of the HTC U11 has been available in the UK and other countries for a while and now the handset is launching in India. The red version of the HTC U11 is now available to pre-order in India for Rs 51,990 which is about $811 at the current exchange rate. As a reminder the HTC U11 comes with a 5.5 inch Super LCD display with a QHD resolution of 2560 x 1440 pixels. The device is powered by a Qualcomm Snapdragon 835 processor and it also comes with 4GB of RAM. The HTC U11 comes with 64GB of storage as standard, the device also has a 3000 mAh battery, Android Nougat and high end cameras on the front and back. On the front of the device there is a 16 megapixel camera for Selfies and on the back there is a 12 megapixel camera for photos and videos.